As you know a big wedding took place at Windsor today featuring Prince Harry and his lovely bride Meghan Markle. While many are overjoyed for this occasion, understandably there is also many of us who just don’t care. Their reasons range from apathy towards the royal family to outright disdain. The great thing about this country is our right to a freedom of expression (which can backfire on us sometimes) and today – just like those who are using their right to profess their joy towards Harry and Meghan’s nuptials – there’s a bar in Liverpool having their very own ‘F*ck the Royals’ party. Now before you turn your nose up at the idea of such an event – because patriotism and loyalty demand it – it’s worth bearing in mind the party, which is being thrown by Sound, a bar on Duke Street, Liverpool, is for a good cause. The money raised will be donated to local food banks in across the city, the Liverpool Echo reports. The thought of public money paying for this wedding when people are actually hungry in this country is just something we couldn’t bare. We can’t do much but, on Saturday we are going all out to raise money for local food banks. Whatever you donate we’ll match. In return for your donations we’ll provide you with the best entertainment on offer in this fine city of ours. F*** the Royals. We’re pretty sure Liverpool won’t be the only city across the United Kingdom hosting their very own anti-royal celebration. So if you are in need of some activities to avoid today’s festivities there are a number of things you can do such as watching the FA Cup Final between Manchester United and Chelsea, the NBA playoff finals or Lee Selby defend his IBF world featherweight title against Josh Warrington. 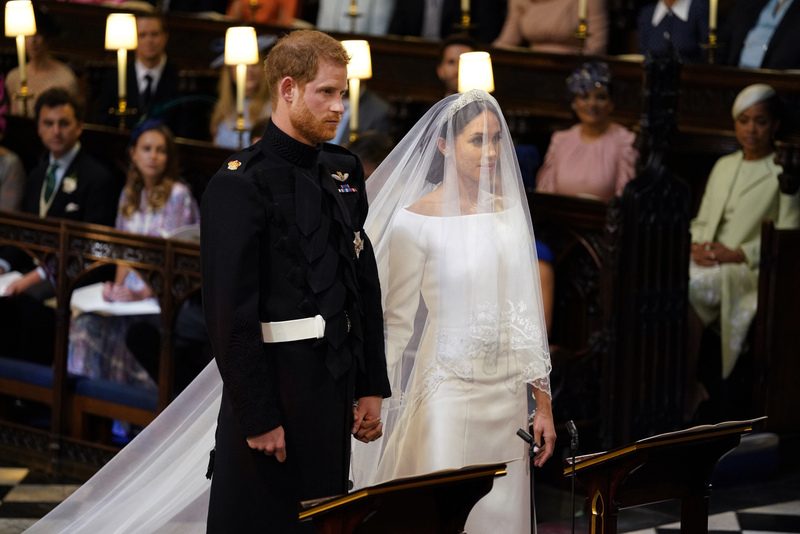 Prince Harry and Meghan Markle were pronounced husband and wife at St. George’s Chapel in Windsor Castle in front of family and friends, including The Queen, Prince Phillip, Prince Charles and Camilla Parker-Bowles and co-stars of the show Suits. 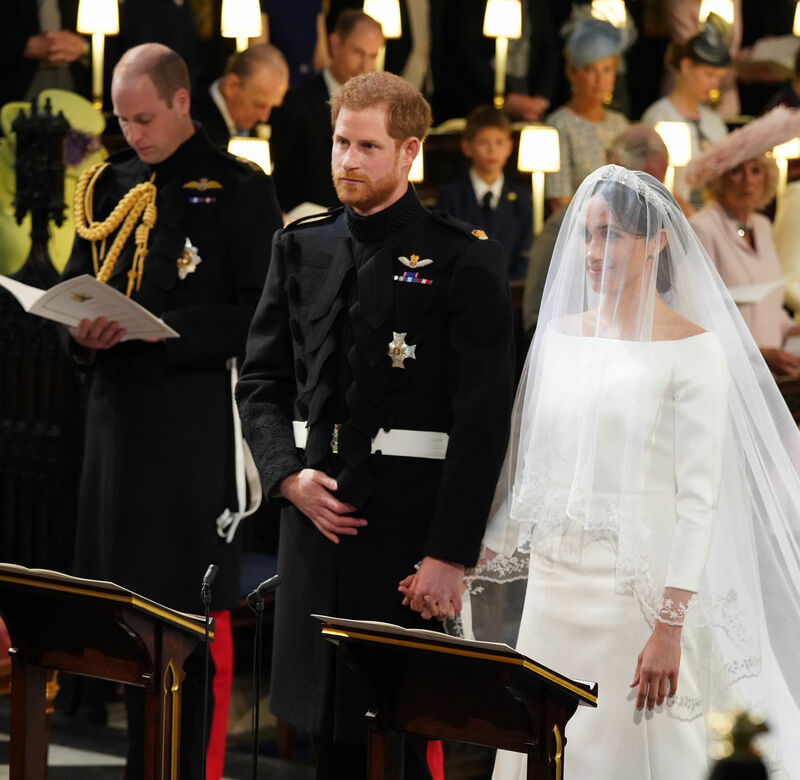 The ceremony was officiated by the Dean of Windsor David Conner and the Arch Bishop of Canterbury, Justin Welby, who performed the newlywed’s vows. During the ceremony, a sermon was given by Reverend Michael Curry of the Episcopal Church in the United States. The food bank donation points are set up, the tables and chairs are out and the sun is out in force. Grab some food bank donations and get down for a full day of fun ? As well as getting married The Queen granted Harry and Meghan the title of the Duke and Duchess of Sussex. During the ceremony, Meghan was walked down the aisle by Prince Charles after her father Thomas Markle was forced to pull out due to last minute heart surgery this week. On the morning of the wedding, Meghan’s mother, Doria Ragland, accompanied her daughter to Windsor Castle with select members of the wedding party. Meghan released a statement following her father’s decision to pull out of the wedding in which she professes she has ‘always cared’ for him and hopes he can be given the time and space he needs to focus on his health. She wowed millions of people across the world as she stepped out in her wedding dress. Harry, flanked by best man and older brother Prince William, donned his household cavalry suit. He sported a well-sculpted beard, despite it being a prerequisite for those who serve in the British Army to be cleanly shaven.